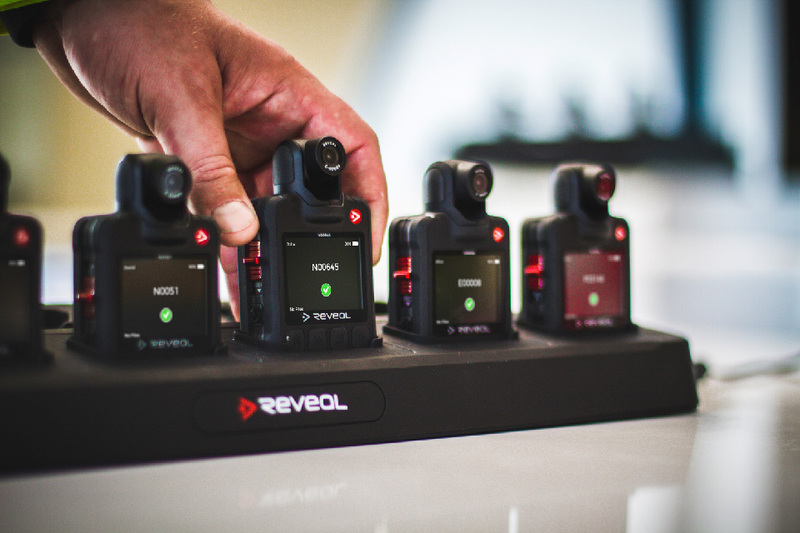 Reveal has been making award winning, smart, efficient and secure body worn video systems for a over a decade. With customers in more than 40 countries, our commitment has been to lead the way through collaboration and innovation. To give our customers choice of features and budgets we have designed two cameras, the D5 with WIFI and Bluetooth connectivity and the D3 without. Award-winning smart, efficient and secure body worn video systems that transform the jobs of frontline workers and police officers. Simply dock your camera and DEMS 360 will do the rest. The forward facing screen displays the booked out and uploading status of the camera so you can always see when it's good to go. For a range of user environments, uniforms, body types or personal preference; our choice of mounting options for the D-Series includes Klickfast stud, shirt clip, pocket clip, shoulder mounts, harnesses and car mounts. 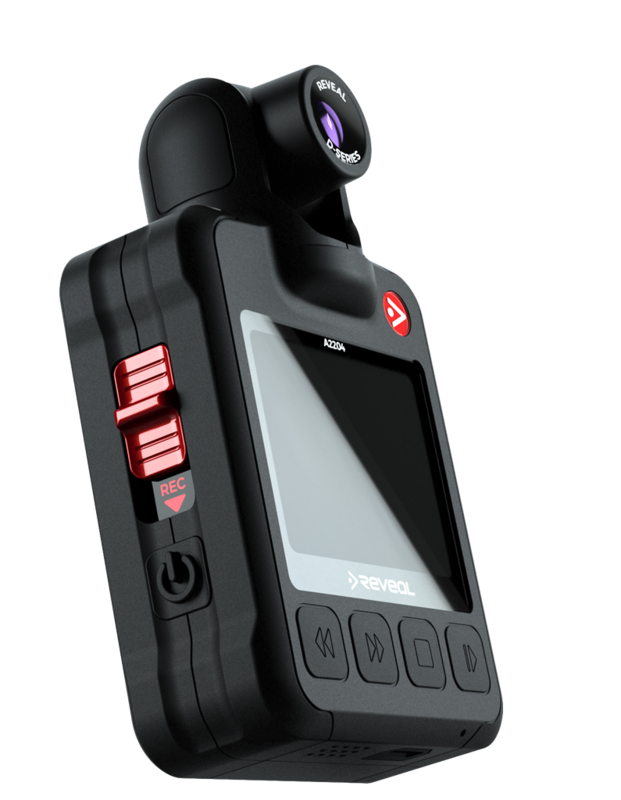 "What an awesome piece of kit, easy to use and some of the IT shy officers are saying how simple it is." D-Series body camera. Volume discounts are available - contact us for details. All specification values are typical and approximate unless stated otherwise. Long-term storage should be in a climate-controlled environment. Battery life is the length of time the battery will power your device and record and is estimated when recording continuously with the screen on. Values shown are typical not minimum. Temperature and other operating conditions can affect battery life. Rechargeable Lithium-Ion batteries will gradually lose their capacity to hold charge. This loss of capacity is irreversible and will result in a reduction of battery life. Lithium-Ion batteries have a limited usable life span, typically 2-3 years. After approximately 300 full charge/discharge cycles, the capacity and battery life would typically reduce by 20-30%. Please refer to Reveal product manuals and FAQs regarding maintenance of your device. Product specifications are subject to change without notice; actual product may vary from the images shown. Some features require additional Licensing or Subscriptions.